It felt like an age ago when the group stage in the Europa League came to an end. The kickers were able to recover from the multiple load and sometimes even during the winter break a few days holiday. But this week, things are going well again. The first leg in the semifinals are on the program. Finally we see again the European Cup in its primal form. Now it is only called champagne or seltzer, barefoot or patent shoe. This also applies to Bayer Leverkusen. The Werkself will have to deal with the Russian representative from Krasnodar. At first glance a solvable task, but the Russians have the right stuff to act as a stumbling block. FK Krasnodar were able to fully convince in the group stage and secured second place behind Sevilla FC, but ahead of Standard Liège and Akhisar Belediyespor. Krasnodar was especially noticed by the home crowd. That could mean that in the duel between Krasnodar and Leverkusen a forecast for a Russian victory does not seem completely outlandish. Some respectable achievements have already been made by the Russians on international terrain in recent years. Bayer Leverkusen will be warned. Fortunately for the German representative, the Russian winter is not very strict this year either. The climate is likely to be similar as in Germany. The Werkself have recently presented themselves in a largely good shape and will do everything they can to force a preliminary decision on Thursday in the first leg. However, the team of Peter Bosz, with all attractive offensive urge, overall not yet stable. Maybe the Russians will be able to take advantage of this fact on Thursday, although the greater quality should already be found in the ranks of the Rhinelanders. In the duel between Krasnodar and Leverkusen a tip for an away win could also be quite an option. 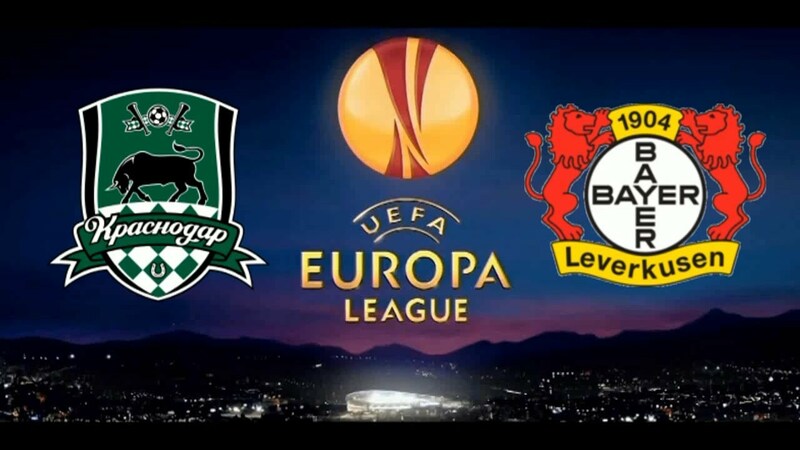 The first leg of the European Championship semi-final between FK Krasnodar and Bayer Leverkusen in Krasnodar is on 14/02/2019 at 18:55. FK Krasnodar is still relatively unknown internationally. The spies of Bayer Leverkusen had to do a lot of hard work in the run-up to this match, because the Russian Premier League is still in the winter break. At the national level, Krasnodar will only start playing the cup game in Rostov at the end of February. The current form of the Russians is therefore difficult to evaluate, even if it was in test games last three wins in a row. Things could not get any better in the Russian league. Currently, Murad Musaev’s team is in second place and only one point behind leaders Zenit St. Petersburg. It could be that Krasnodar may even be fighting for the title this season. That would be the biggest success in the club’s history. First, the undivided attention but the Europa League applies. Before the match between Krasnodar and Leverkusen, the odds indicate that the Russians are only outsiders, even in this first leg. However, we still have a statistic ready, perhaps assuming the opposite, because Krasnodar has won all three games in the group stage of the Europa League, also against Sevilla. In total, there are now five home wins in a row in this competition. It will not be that easy for Bayer Leverkusen. The last home defeat in the European Cup was for Krasnodar a good two years ago against Celta de Vigo. However, the Russians never failed to concede in their last five home games. This could be an indication that in the match between Krasnodar and Leverkusen a tip on a home win with goals from both teams could be quite successful. In test matches, there were recent victories against New England, Malmö and Lok Moscow. It looks as though Murad Musaev has managed to get all the players fit through the preparation. However, he has a failure to complain, because the Ecuadorian Cristian Ramirez saw in the last group match against Sevilla the traffic light card and will therefore not be able to participate on Thursday. Otherwise, Krasnodar can go with full chapel in this encounter. Bayer Leverkusen has not been able to show that it was the right choice to exchange Heiko Herrlich for Peter Bosz. Nevertheless, a slight upward trend is unmistakable. However, the Dutchman has not yet found the balance to accompany the fast attacking game with a stable defensive. In the five competitive games under the new coach, there were two defeats and three victories. So we are not really smart when it comes to the constitution of the Werkself. The loss in the cup at the second division in Heidenheim has made it clear that the attitude must be 100 percent consistent if you want to win a game. In the Bundesliga, there were at last three wins in a row, the Leverkusen have flushed in the table to sixth place. The minimum goal Europa League seems to be reached again, after which it did not look like for a long time. After the last victories you can now devote yourself completely to the task in Russia. However, the last few games do not necessarily prompt us to venture into an away win between Krasnodar and Leverkusen, although the last appearance in the Mainz league was already intoxicating. Leverkusen had this game almost over 90 minutes under control. The early lead by Wendell could equalize Mainz, but Kai Havertz, Julian Brandt with a double and Karim Bellarabi put the result to a clear 5: 1. In Russia, Bayer Leverkusen will expect a very different game, as Sven Bender knows, who lost three years ago with Dortmund in Krasnodar. A match in Krasnodar is not comparable to everyday life in the Bundesliga. We will see how Bayer Leverkusen takes on this task. Personally, Peter Bosz seems to have found his ancestral formation. We would therefore not be surprised if the lineup would be changed only marginally compared to the victory in Mainz. Only the long-term injured Joel Pohjanpalo and Panagiotis Retsos will be missing. Probably it will not be enough for Lars Bender until Thursday. Krasnodar does not have a lush international past, but every now and then you’ve met a representative from the Bundesliga in recent years. Wolfsburg, Dortmund and Schalke have been the opponents in recent years. As a result, one win and five defeats to book. Krasnodar did not have to face the grass against Leverkusen. Therefore, it comes on Saturday for the premiere of this duel. Krasnodar has what it takes to be a very unpleasant opponent. Five home wins in a row are proof that the grapes in Russia are likely to be very high. In addition, the team of Murad Musaev plays a great season in the Premier League as well. Apparently, Krasnodar has become a top team of Russian football. Leverkusen will face a difficult task. However, if the team of Peter Bosz appears as recently as in Mainz, then an away win should be possible. In general, we think that in the game between Krasnodar and Leverkusen, the odds, the balance of power, at least in the first leg, not correctly. Krasnodar has celebrated a victory against German teams and lost five defeats. The Russians have last five home wins in a row in the Europa League. In the Bundesliga Leverkusen has won three times in a row. We think that the Werkself will struggle in Russia. That was true for many other teams. We can therefore imagine a Russian victory very well, but at least assume that Krasnodar will not lose. Therefore, in the duel between Leverkusen and Krasnodar the forecast on the double chance. Should Krasnodar not lose, odds of up to 1.85 will be distributed. Given the home strength of the Russians, we would probably bet that Leverkusen will not win on Thursday.